I want to start sharing more of my personal experiences on different projects on this blog. The Missed Inked USA 2017 is a great opportunity to talk about adaptive photography and making adjustments when the environment is different or how you have to shoot is different than what you anticipated. 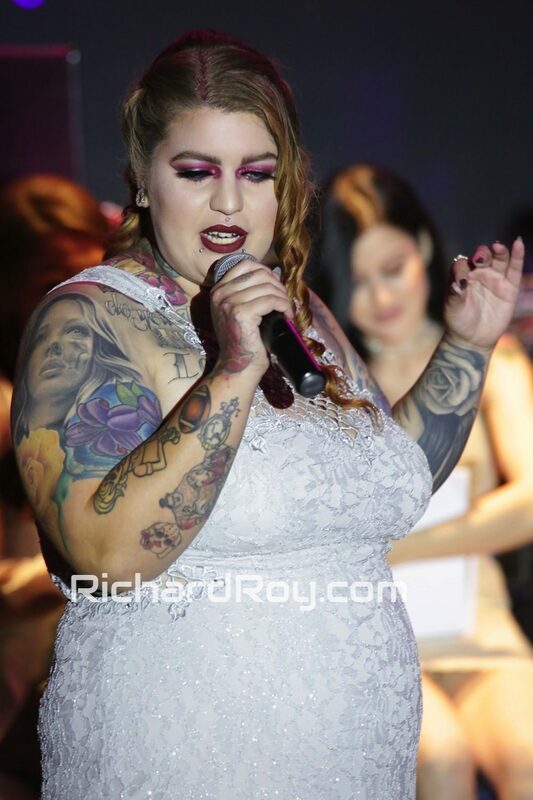 I made an assumption that the pageant would be held in one of the larger venues or concert area at the House of Blues in Dallas, but it was held in a small lounge area that was packed to the gills with spectators and 20 beautiful contestants. I had even purchased a VIP ticket thinking that would give me a premium vantage point when shooting photos and video…It didn’t. The pageant had a few hired photographers that had short lenses and cameras equipped with flash units and light modifiers, while I was packing my nifty 50 and Tamron 70-200 lens. One photographer told me that my 70-200 was too much lens, but I think it turned out to be the perfect lens. All of the hired photographers where popping in and out to get their shots in the cramped make shift stage area that was floor level with the audience. While sitting in the VIP area gave me no vantage point, I was able to set up my video camera on a table and shoot from that location with my 70-200 lens. I typically know what I’m walking into when shooting events and I like to prepare ahead of time, but this was one of those times where I needed to adapt to a situation I was not prepared for. I almost brought my LED panel for video, but chose not to thinking there would be ample light for some good footage and B roll. While I did not get all of the photos I hoped to get, I did get some decent shots that evening. I think next time I end up shooting at a venue that I have not scoped prior to the day of the event I’ll always bring at least one flash unit and a light modifier. Interestingly, I shot another event at the House of Blues a month prior in another room and it was up there at the top of the list as one of the worst lit locations I’d ever personally shot in. I had to adapt to that situation as well. Are you a fellow photographer? What are some shooting situations you had to adapt to that you were not prepared for?